Fiscal Year 2016 nears its end without a budget. FY16 will reach its end on June 30th, when the State of Illinois will possibly go an entire fiscal year without a budget. Subsection 2b of Article VIII of the Constitution of Illinois requires the General Assembly to annually enact a balanced budget. However, as FY16 began a year ago on July 1, 2015, no balanced budget had been enacted. An impasse began, with worsening consequences for entities depending on the State for day-to-day funding. In addition, the lack of a constitutional balanced budget worsened Illinois’ standing among its neighbor states. By June 2016, Illinois was poised to become the first U.S. state since the Great Depression years of the 1930s to try to operate for more than one year without any budget at all. As one consequence of this somber milestone, Illinois’ credit rating had dropped by June to the lowest rank of any of the 50 states. State education funding to end June 30th; Republicans offer full funding bill. Year-round learning programs, known as “summer school” to many older Illinois residents, are put at special risk by the pending shutoff of State school aid funds on July 1, 2016. While many areas of State spending are not protected by court orders, consent decrees, and continuing appropriations and have already been cut off by the inability of the majority party in the Illinois General Assembly to enact a balanced budget, the State did pass a spending bill in FY16 just for schools. Illinois elementary and secondary schools, with the help of General State Aid and other school aid programs, operated on schedule during the 2015-16 school year. However, the school aid payments authorized by this FY16 bill will end on June 30 with the end of the fiscal year. House Republican Leader Jim Durkin and his colleagues are fighting for action on HB 6583 to provide full funding for Illinois schools for the 2016-2017 school year. HB 6583 would allow every Illinois school district to be fully funded at 100 percent of the foundation level for the first time in seven years. Additionally, the bill holds harmless those school districts that would lose state funding in 2017 due to rising property values along with a decline in poverty. But most importantly, it removes K-12 schoolchildren from the crossfire of the larger budget impasse. Governor Rauner has said he will sign the clean education funding bill and HB 6583 has the full support of House and Senate Republicans, who are urging Speaker Madigan and Senate President Cullerton to pass the bill next week. With no funding after June 30th, road projects prepare for shutdown. The announcement from the Illinois Department of Transportation (IDOT) came on Tuesday, June 21, as the close of FY16 approached. IDOT’s lawyers have advised the Department and the Rauner administration that, as of the close of the current fiscal year, the State cannot count on having legal authority to spend money for ongoing capital projects in the absence of explicit appropriations authority encompassing the projects being worked on. Most State operations have continued throughout FY16 in the absence of an enacted budget. This spending has continued and has been based upon court orders, consent decrees, and continuing appropriations. With the end of this fiscal year, with regards to most road projects and transportation capital spending, the ability to legally spend money in these areas is coming to an end. 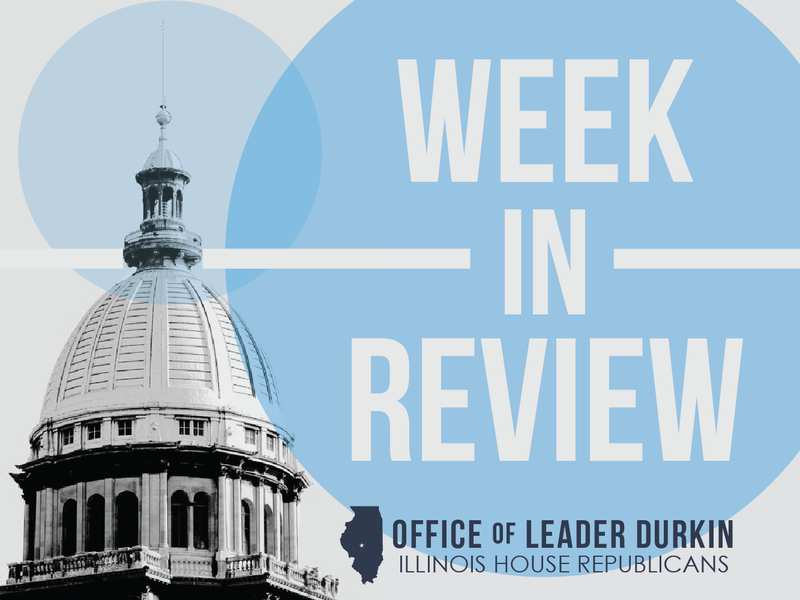 House Republicans have called upon their Democrat counterparts in the General Assembly to immediately enact a stopgap appropriations bill, HB 6585, to enable essential IDOT road project work to continue during the summer construction season. HB 6585 is fully funded from existing revenues sources and funding streams. Speaker Madigan once again cancels session; General Assembly to meet next week. After the House and Senate failed to enact a budget bill for FY17 prior to the their May 31, 2016 adjournment, Speaker Madigan reassured his colleagues that they would be called upon to meet once a week on the Wednesdays of June to discuss the spending situation and debate alternatives. However, no public budget discussions have taken place and each of the three session days scheduled for June 8, June 15, and now June 22 have been cancelled. The cancellations of these three scheduled session days have taken place as the June 30th deadline for the adoption of a spending plan for FY17 grows closer. Illinois has not appropriated any operating funds for State facilities such as prisons and residential homes since July 1, 2016, and has not spent any funds other than stopgap funds for Illinois institutions of higher education since the same date. Existing appropriations for Illinois school districts and institutions of elementary and secondary education will expire on June 30. 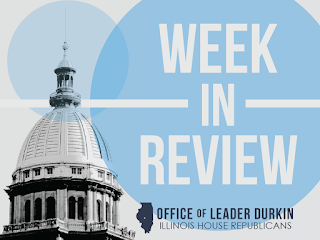 The Illinois House and Senate are both scheduled to return to Springfield for session next Wednesday, June 29, to consider possible education funding and stopgap budget measures. Illinois residents not yet told how much their ACA premiums will go up. The references are to the premiums that will be paid for 2017 by purchasers of mandatory health insurance under that Affordable Care Act of 2010, often referred to as “Obamacare.” Sharp increases in average 2017 premiums, in many cases exceeding 10%, have been reported under the mandatory reporting provisions operating in many U.S. states. However, Illinoisans have not yet been told what proposed 2017 premium rates will be, and observers of the process believe that it will be at least another month before this disclosure is made in Illinois. The 2017 insurance policies covered by this delayed disclosure are policies offered for sale in Illinois, or in regions located within Illinois, on the insurance exchange operated under the supervision of the State under the provisions of the Affordable Care Act. 2017 rate plan applications were submitted by insurance firms to the Illinois Department of Insurance in April, but under current Illinois law and administrative policy, these rate plan numbers are considered to contain sensitive, proprietary industry information. Instead of being released, the numbers are being scrutinized privately by the Department. Federal law requires premium increases of 10% or more to be reviewed by each state. This process is supposed to lead to effective regulation of rate increases. In some regions of the U.S. other than Illinois, insurance companies are asking for 2017 rate increases of more than 20%. United Way says approximately 1 million Illinoisans have lost access to some public services as budget impasse continues. The United Way, a consortium that brings together community organizations and nonprofits nationwide, has frequently surveyed its Illinois affiliates on how they are being affected by the State budget situation. In the most recent survey results, released on Wednesday, June 22, 429 agencies stated that they have been forced to reduce or eliminate services to client groups that cover almost 1 million Illinois residents. Nearly two-thirds of the human services provider agencies that responded to the survey told the United Way that they have been forced to cut one or more of the programs they offer. More than one-half of the 429 respondents stated that if the current impasse continues for an additional six months, they would have to stop serving clients completely. Human services affected by the budget standoff include programs not protected by ongoing Illinois court orders, consent decrees, and continuing appropriations. Typical programs facing the consequences of no appropriated State funding include programs that provide community outpatient mental health services to non-Medicaid clients. These and other social service programs are not protected by court orders and cannot seek reimbursements from the State of Illinois in the absence of an appropriation to legalize transferring the money. Illinois Department of Employment Security releases metro-area numbers for May. IDES found that unemployment rates have increased in most Illinois metropolitan areas since the year-earlier period, May 2015. While conditions are good in some parts of metro Chicago and the jobless rate dropped 0.4% there over the 12-month period under scrutiny, rates were flat or up in the 13 major metro areas of Downstate Illinois. May 2016 metro jobless rates ranged from a low of 4.8% in Springfield to a high of 7.3% in Danville. Other metro areas with high unemployment in May included Decatur (6.8%), Rockford (6.6%), Peoria (6.5%), and Kankakee (6.5%). While net new jobs were created in half of Illinois’ Downstate metropolitan areas, the number of new jobs created remained anemic and insufficient to counter the effects of other changes in the overall Illinois workforce, such as a return to the workforce by some discouraged workers. The IDES metro numbers for May 2016 were released on Thursday, June 23. At least four tornado touchdowns reported in north central Illinois. Tornado reports were received from Amboy, Troy Grove, Seneca, and Pontiac. No fatalities were reported, but the storm front caused Illinois residents to be injured and suffer property damage. Governor Rauner issued a statement of support for tornado victims early Thursday, June 23 and stated that he would ask for regular updates from Illinois Emergency Management Agency (IEMA) on damage assessment and cleanup. Tornado activity normally hits a peak in summertime here in Illinois. IEMA has a Severe Weather Preparedness guide to enable Illinois residents to prepare for tornadoes, winter storms, and other severe weather activity. Illinois strengthens commitment to reopen Quad Cities-to-Chicago passenger railroad service. The project, which will cost at least $222 million, will build and rebuild railroad rights-of-way, signaling, and station stops for a line to cross the northern section of the state from Chicago to the Quad Cities. A new passenger train and intermodal transportation center will be built in downtown Moline for bus, train, and taxi passengers. This project has been under repeated discussion since 2008. The commitment, made on Tuesday, June 21, signaled an intent by the State of Illinois to set aside capital funds for the project from State money used for mass transit transportation needs. This commitment was a necessary element in securing a preliminary commitment from the federal government to contribute $177 million in federal funding. If passenger train service is resumed to the Quad Cities sometime around 2020, it would follow a gap of more than forty years with no trains. Although Rock Island is the city that gave its name to the “Rock Island Line,” the popular name of the once-huge Chicago, Rock Island & Pacific Railroad, train service to Moline and Rock Island was withdrawn in December 1978.